Poet Joseph A. Dandurand, author of The Rumour and SH:LAM, shares a Canadian poetry collection that is meaningful to him. April is National Poetry Month! To celebrate, we're canvassing Canadian poets and asking them what Canadian poetry book has been meaningful to them. Joseph A. Dandurand has published three collections of poetry, most recently releasing The Rumour in 2018, and has a fourth, SH:LAM (The Doctor), on the way this spring. SH:LAM (The Doctor) tells the story of Dandurand's people, Kwantlen First Nation, and describes the ways they have survived the brutalities of colonialism. Dandurand is the Vancouver Public Library's 2019 Indigenous storyteller in residence. Dandurand says that a Canadian poetry collection that means a lot to him is by his friend Armand Garnet Ruffo, who recently published the collection TREATY#. 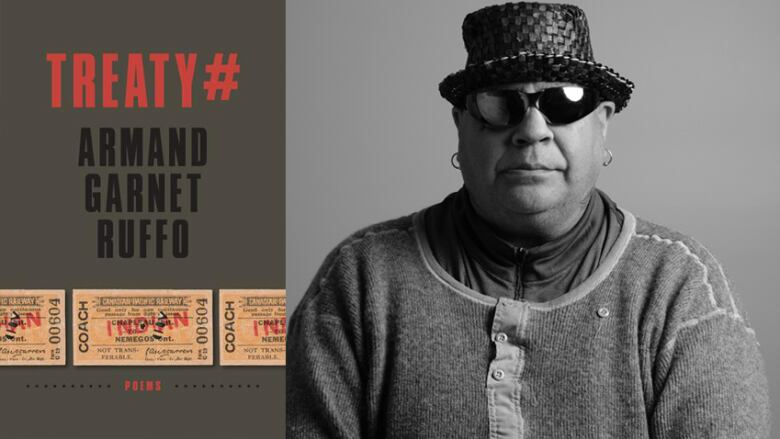 "Armand Garnet Ruffo's newest book of poems, TREATY#, is one of my favourite books of poetry and I highly recommend it for all Indigenous and non-Indigenous readers. "Armand and I met close to 30 years ago in Ottawa. It was just after the Oka Crisis and there was a group of radical poets who decided to form a group of writers and that would flame the embers of a revolution within Canada by the Indigenous people, who by now had had enough and the moment in time at Oka was enough. "We never did. We had a few meetings and they were spent trying to come up with the right acronym for our group. My favourite was O.I.N.K: Ottawa Indian Native Kreators… I think. But we settled on: W.I.N.O: Writers Independent Native Organization. There was Armand and myself, Kateri Akiwenzie-Damm and the Deleary brothers. We were quite radical or so I thought I was. "Now Armand and I find ourselves still today writing books of poems and we still are radical in our ways but I think he has matured so much in his writings and TREATY# is a true reflection of that. "He speaks the truth and his style is so unique and over the years it has become as clear as any storyteller can get. "I truly recommend my good friend's book of poems: TREATY#."